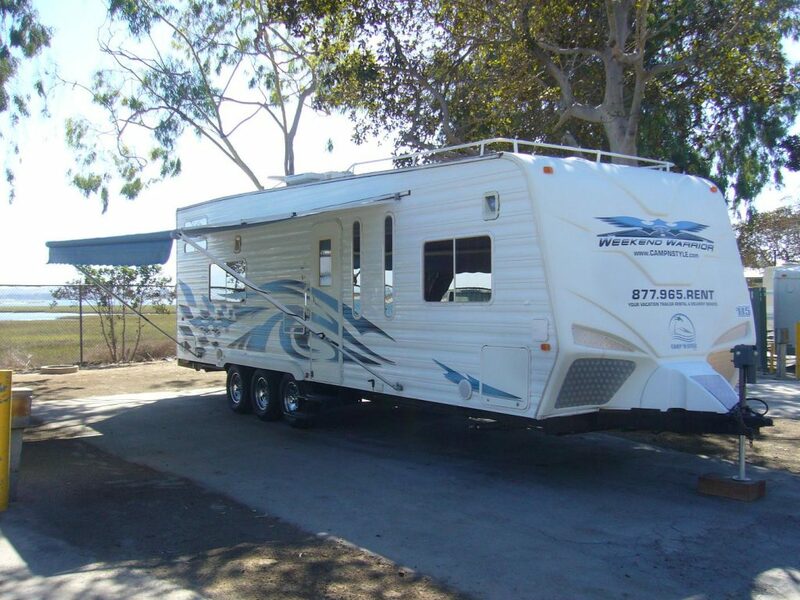 The 28′ Weekend Warrior top-of-the-line vacation trailer brings all the comforts of home to your camping experience, measuring over 30 feet in living quarters. This Warrior is our most popular desert model.In addition to all the features of the 26’ Weekend Warrior, the 28′ Weekend Warrior also has a separate walk-around front Queen bedroom with plenty of storage and a sliding door for privacy. The spacious bathroom includes a porcelain toilet, glass shower enclosure, and vanity area. A corner kitchen design makes for lots of room and plenty of counter space.